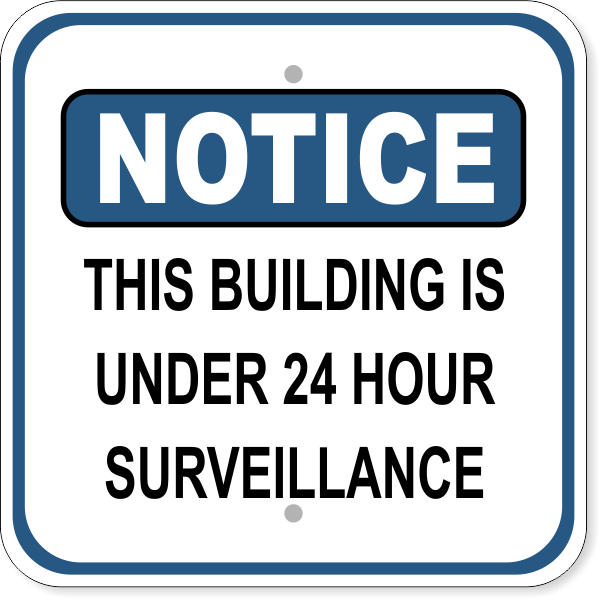 If you monitor your property 24/7, you should post this surveillance sign to make potential threats aware. Notice No Soliciting Aluminum Sign | 12" x 12"
Warning Private Property Aluminum Sign | 12" x 18"
Keep security as your top priority with this notice sign that reads "THIS BUILDING IS UNDER 24 HOUR SURVEILLANCE." This sign measures 12 inches by 12 inches and features a full-color, weather resistant design mounted on commercial grade aluminum. This surveillance notice sign also comes with rounded corners and pre drilled holes for hanging.